Frank Stein isn’t expecting us so he’s not really ready to perform. However, he does invite this family audience to sit in on the rehearsal of “George the Dragon Slayer”, promising us a big dragon, knights and a lot of fighting. We’re welcome to stay if we fancy it. We do. Set the stage for “Frank Stein’s Puppet Theatre”! There are three levels of scary, he tells us, and he shows us exactly how we might respond, encouraging everyone here at the Brewery Theatre to feign varying amounts of terror. Frank Stein isn’t a very successful puppeteer, unlike his Great Uncle Alfie, and this soon becomes apparent when the hero of the piece, George, falls apart. Oh dear. This is nothing like the dream Frank had, in which he became Dr Frankenstein. Nothing at all. In and out of the dream sequence, we’re shown how a real creature is made, a creature to stand out from the crowd, one that might be able to replace the hapless George in the original puppet show we were promised. 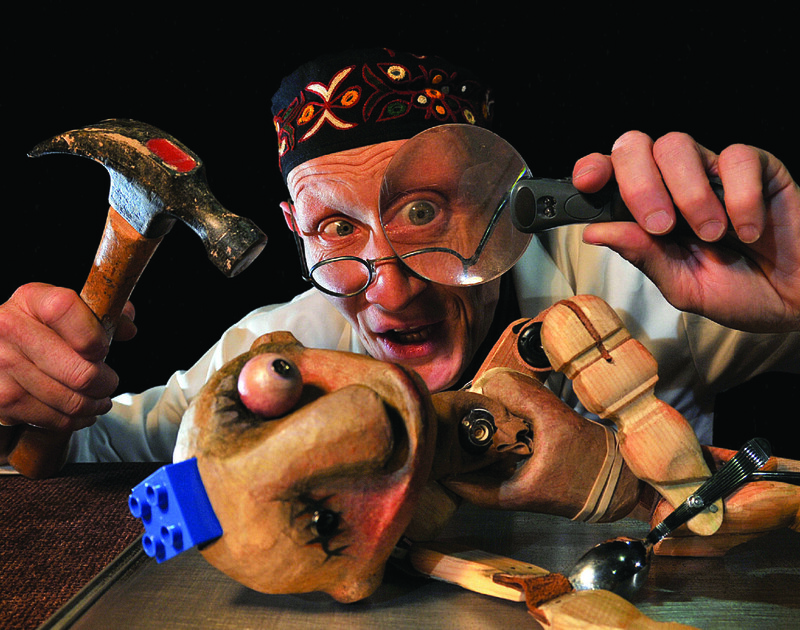 Little Frankenstein is the work of The Lempen Puppet Theatre Company and has only one actor, Daniel Lempen. This actor is also a puppeteer so, therefore, the cast is bigger than you might think. Puppetry has become so inventive that it seems rare to find an outfit that still uses glove puppets. Lempen does just this, bringing them to life behind his platformed box theatre, although he does use the entire stage to good effect, bringing in music and lights in all the right places. Lumpen is a lively entertainer and he has a highly unusual face, which makes you believe that he really could be a frustrated puppet scientist. He has a great rapport with the audience and the kids seem engaged every step of the 50 minutes. 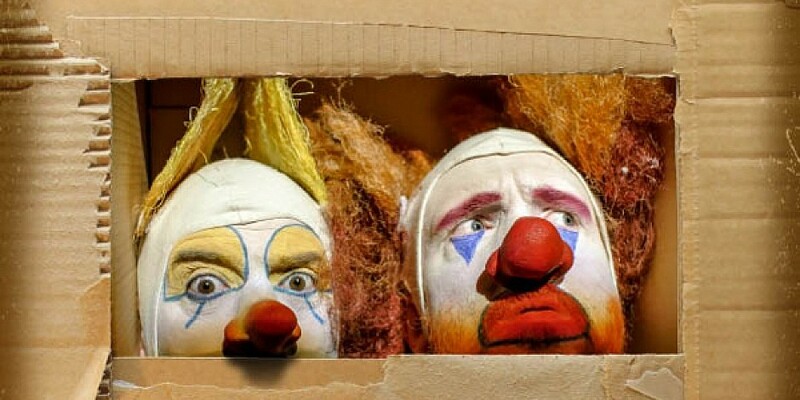 Part of the Bristol Festival of Puppetry 2015, Little Frankenstein is a show aimed at those of 5 years and over and is perfectly suited to the intimacy of Bristol’s Brewery Theatre.